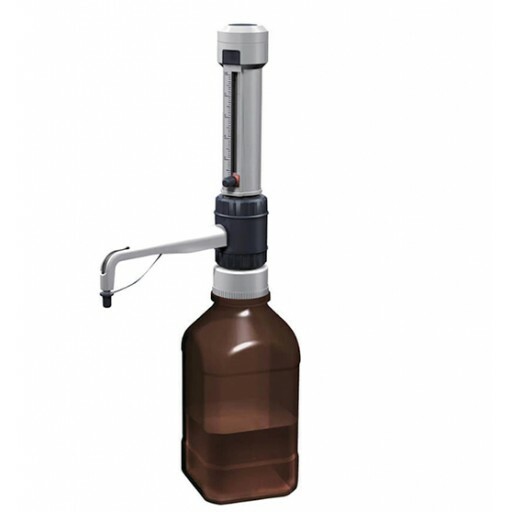 DispensMate bottletop dispensers are ideal for safe, accurate and precise dispensing of bases, saline solutions, acids and some organic solvents. Four adjustable volume sizes are available from 0.5ml to 50ml and they come with 5 adapters to fit the popular reagent bottles. You can dispense with it but you can't do without it! Buy 4 DispensMate Plus Bottletop Dispensers and receive a 5th one FREE!